Walter Field House - PRIME AE Group, Inc. 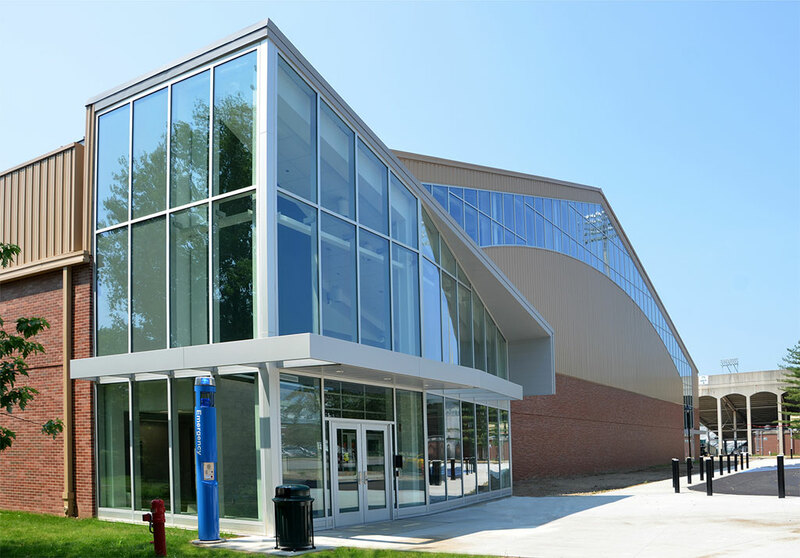 The Walter Fieldhouse is a 93,750 SF, $12 M multi-purpose facility designed and constructed to provide maximum flexibility for a variety of collegiate sports, education, and recreational activities. 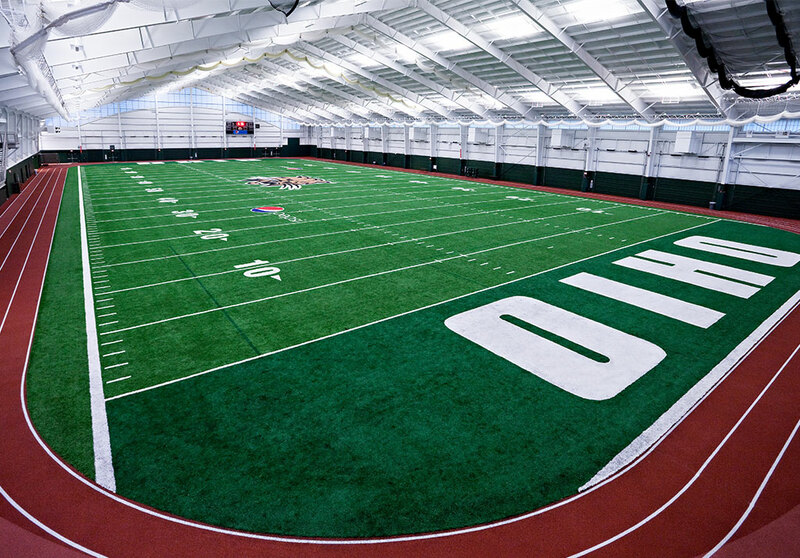 Contained in the building is a full-size football practice field, a 4-lane non-competition running track, long jump pit, and pole vault. Using a pre-engineered metal building system, the design team incorporated campus vernacular such as brick and columns to emulate buildings in the immediate vicinity. The building was designed to be sustainable and efficiently operated. 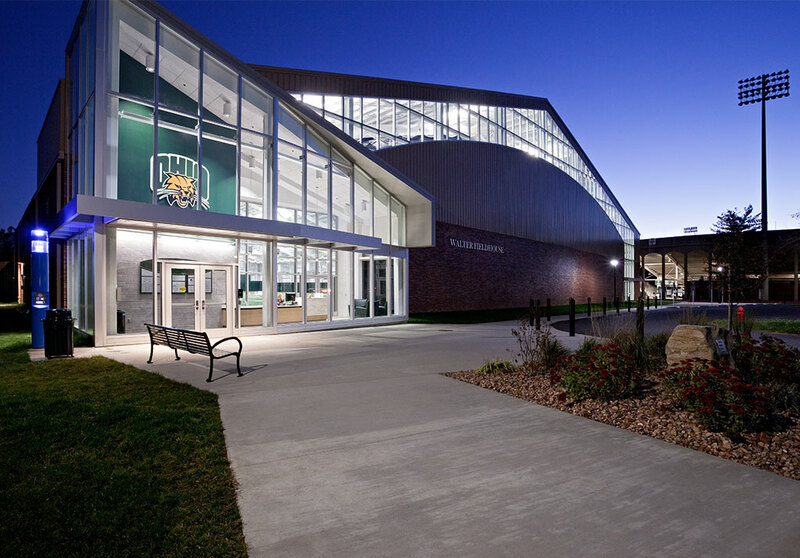 The majority of the facility is lighted with LED fixtures, including indirect impact resistant fixtures in the fieldhouse. These fixtures are also part of a daylight harvesting system which help to conserve energy.